Number five in this series. A big thanks to Chris for his view on living Jordan. See how he copes with the Jordanian Winter, Insha’Allah and check out the places he thinks you have to know. Also check the other posts in this series – A Polish in Jordan, A French Family in Jordan, An American in Jordan, A German in Jordan. My name is Chris, I came to Jordan in August of 2017 after finishing University in Calgary, Canada and have been teaching at the Canadian International School since that time. In my 8 months here so far I’ve gotten more in tune with the ebb and flow of Jordan, so here are some things I’d love to share about my experiences in Jordan. The Unexpected Cosmopolitanism Crowds of Amman – I realize that’s a bit of a mouthful but bear with me. Amman does not really fit the traditional confines of a cosmopolitan city like New York with its diverse cultural neighborhoods, but the crowds and groups of people you can find in Amman are as diverse as they come, which makes it very interesting meeting people here. 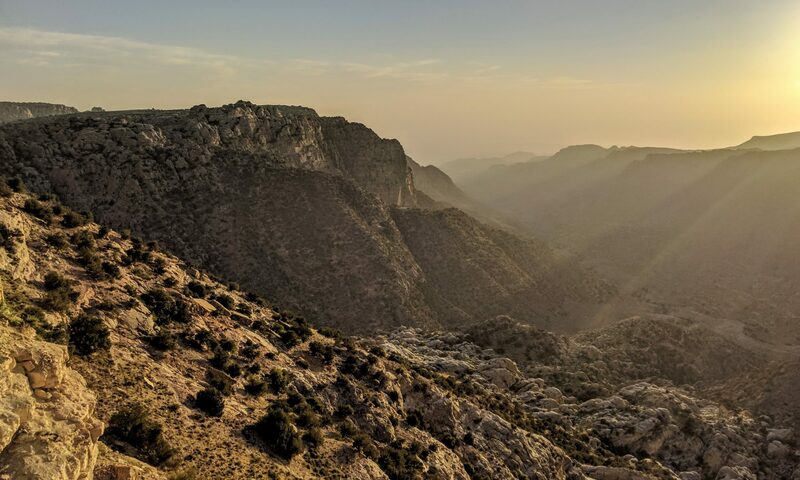 I’ve hiked in lush forests, seen live music gigs in smoky bars, ate at traditional Arab restaurants, had a vigorous scrub at a hammam, learned how to play Dungeons and Dragons and more here in Amman. A guy I met probably put it best that “In Amman, you can find everything. You like hiking? There are people. You like drinking? There are people. If you’re gay, there are people. If you’re an extremist, there are unfortunately still people.” So whatever you’re into, you’ll likely find a group with similar interests here in Amman no matter what it is. Views from the Hills – Though it can get annoying when walking sometimes, the hills sprawled out across and Amman and in a lot of other places in Jordan make for some incredible views that are easy to come by if you’re out exploring or even running errands. I can’t count how many amazingly different views I’ve seen of the Amman cityscape from very different locations in the city. The same thing can also be said for the Jordanian wilderness, like Ajloun and Dana. It was very refreshing seeing all these gorgeous vistas coming from the flat prairies of Canada. Insha’Allah – I use this common expression as a metaphor for the ease and free-flow of a lot of parts of Jordanian society. You probably know the expression in English means “God willing” and is often used colloquially by people when they will/might do something or something will/might happen. My students often say “Mr. Chris, I will finish my assignment Insha’Allah.” Or a repairman might say “I will come and fix this at noon tomorrow Insha’allah.” I’ve seen this phrase embody a mentality of not being definitive about the future, which of course can be frustrating in certain contexts (the repairman) but I’ve also found it to be so liberating in many others. Though the traffic may be chaotic, many of the people I’ve met in Jordan are very easy going and relaxing along the proverbial ride of life. It’s been a challenge getting used to, but once you get a feel for the groove you’ll many stresses of schedules and plans leave you. The Jordanian Hospitality – I’m sure you’ve read about this before, and for good reason. Like any other country, Jordan does have people that will try to scam or cheat you or be a little more touchy than what is appropriate; but it also has people with a grander sense of hospitality and openness, unlike other places I’ve traveled to. Taxi drivers make genuine conversation with you and (a lot of the time) don’t try to scam you. I even had one stop at a convenience store to buy me and my friends juice and chocolate and he did not expect anything in return. Many shop owners greet you with a smile and pleasant stories and people always seem willing to help even if they can’t speak your language. Amman’s Walkability – If you’re a person that likes to cycle, run, or take long walks to clear your mind like me you might find Amman a bit of a challenge. The hilly landscape might make you more tired, but the main annoyance for me has been the layout of the sidewalks and the way people seem to treat them. It’s tough when you want to go out for a walk for any reason and there are all these trees in the middle of the sidewalk blocking your path. Oftentimes hordes of cars will also be parked right on the entirety of the sidewalk also obscuring your journey. Is Amman unwalkable? No, far from it – you just have to be a bit more patient and creative with your navigation. The Jordanian Winter – Bet you weren’t expecting this one from a Canadian of all people, eh? Let me explain. The Jordanian winter is not nearly as cold as the -40°C temperatures I grew up within Canada. But I’m used to that cold being outside. In Jordan, it can get rainy and as low as 4°C outside which is not much if you’re wearing a good jacket. What I did not know about Jordan before coming here is that a lot of the buildings don’t actually have any heating system. Coupled with the walls in my apartment being stone, it was oftentimes colder in my apartment than it was outside. It’s not a great feeling coming home, seeing your breath, and realizing you actually have to add layers inside. These winters can be combated with the purchase of electric or gas heaters though (I highly recommend gas heaters with a propane tank – you’ll save money on your power bill and I found they did more to heat my apartment). Isha’Allah – Now I know I put this in one of the things I like about Jordan, but this mentality has been a double-edged sword for me as I believe it might be for many foreigners. If you’re from a place that runs on definite schedules and hard bureaucracy you might have some frustrating experiences here. Obviously, not all people or companies are like that, but this stress-less mentality results in non-existent schedules in things where there probably should be or repairmen saying they will be at your house at noon and show up at 4 consistently. My fondest example is when our school had a holiday on the calendar scheduled, but we had to wait up until the week of said holiday for the Ministry of Education to actually confirm it would be a holiday – it did end up being one but the whole process of that blew my mind. The Local Self-Hate – As a foreigner living in Jordan I’ve come to miss many things back home and have become annoyed with some quirks of living here, but at the end of the day I truly do love living in Amman and have learned so much from making a life here. I will forever appreciate this city for the person it has (and still is) shaping me into. I’ve noticed though that many locals don’t see it that way. In fact, many that I’ve talked to have said that they straight up hate living in Amman and Jordan. I’m not trying to make it seem like I’ve never expressed similar feelings about my home city, but at the end of the day, I love my home in Canada as well. Many are always shocked that I chose to come to Jordan – they can’t seem to understand why I would make such a seemingly ill-informed decision. I’ve also met many other locals who love Amman and Jordan, and I just wish there were more people like that. It would fill the air with hope rather than this toxic self-loathing. The Shams Community – an excellent group of people who organize meaningful events like conversations, cooking, and hiking. My favorite is Dinner and Dialogue which I attend with some friends every Monday to eat and discuss meaningful topics with new people. It’s also an easy way to meet and build relationships with people, locals and foreigners alike. Happy Hikers Jordan – This locally run Facebook group is a great gang of people who organize hikes together. As far as I’ve seen to join a hike you only split the transportation costs of renting a bus, which is way cheaper than organizing hikes with a company. It’s also another superb way to meet people. Couchsurfing in Amman – If you’re still struggling to meet people in Amman couchsurfing.com is another great place to check out. The community is not as active as other large cities I’ve been to but it’s still active enough that you can reach out and meet people with similar interests. It’s also a good way to see what events are going down in Amman and other places. And if you’re feeling kind enough, you may even want to welcome one of a steady stream of travelers coming to Jordan into your place. The Arts Scene – Again, smaller than most cities but still alive and thriving. Paris Café is a great spot for a variety of live performances like Jazz and Spoken Word among many other things. Maestro and Corners are also two excellent bars to enjoy live music. All these places also have a great blend of locals and foreigners if you want to start a conversation with someone (I actually apparently met a pretty famous Jordanian beatboxer at Corners). Weibdeh and Paris Circle – This is a place I’ve been frequenting more with my friends. Some things here tend to give off what might be called a hipster type of vibe, and that might be because there are some very nice cafes and interesting art and antique shops in this area. If you’re looking for a low-key and relaxing day, hit this area up. Madaba – I’m sure many people have heard of Madaba, so why am I putting it here? I’ve noticed among travelers and even foreigners living here that many know of Madaba but no one ever seems to go. Don’t be one of those people. A day trip to Madaba is incredibly pleasant. It’s close to Amman, the whole city is walkable, it has beautiful churches, mosaics, and much more. So go see it if you haven’t. And that’s about all I got. 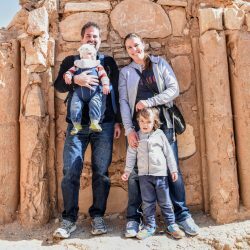 Thank you for reading, I hope that my experience may have helped you form some insight on life in Jordan as a foreigner! If you like this one, make sure to check out the other posts in this series of guest posts.